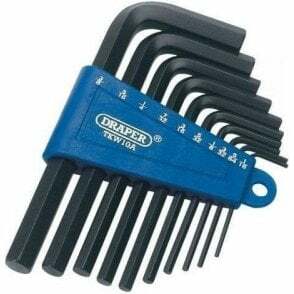 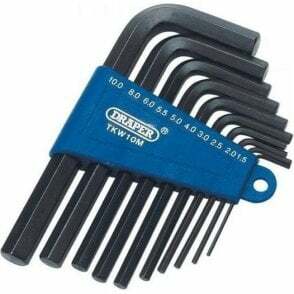 A 10-piece set of standard hex keys in high tensile steel. 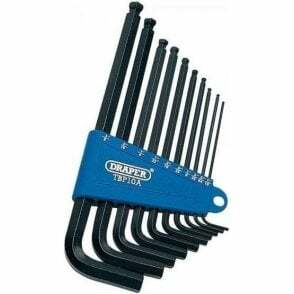 All keys are stored in a size marked and colour coded plastic holder for easy selection. 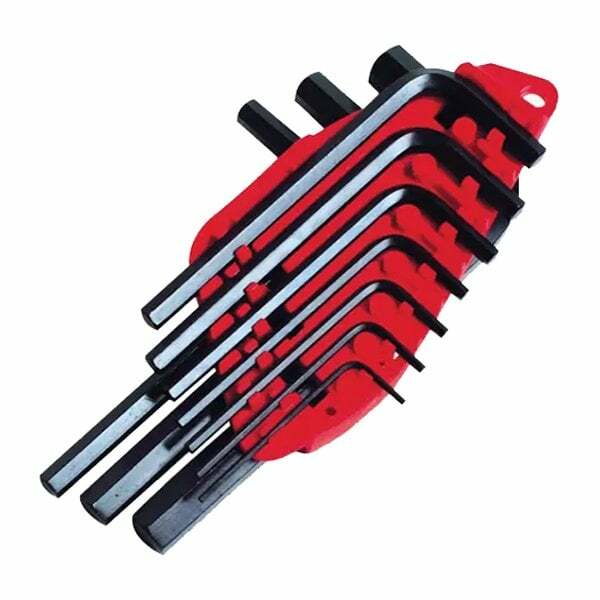 Contains 1 of each: 1.5, 2, 2.5, 3, 4, 5, 5.5, 6, 8, 10mm.